Glass Modesty Panel - Full Width. 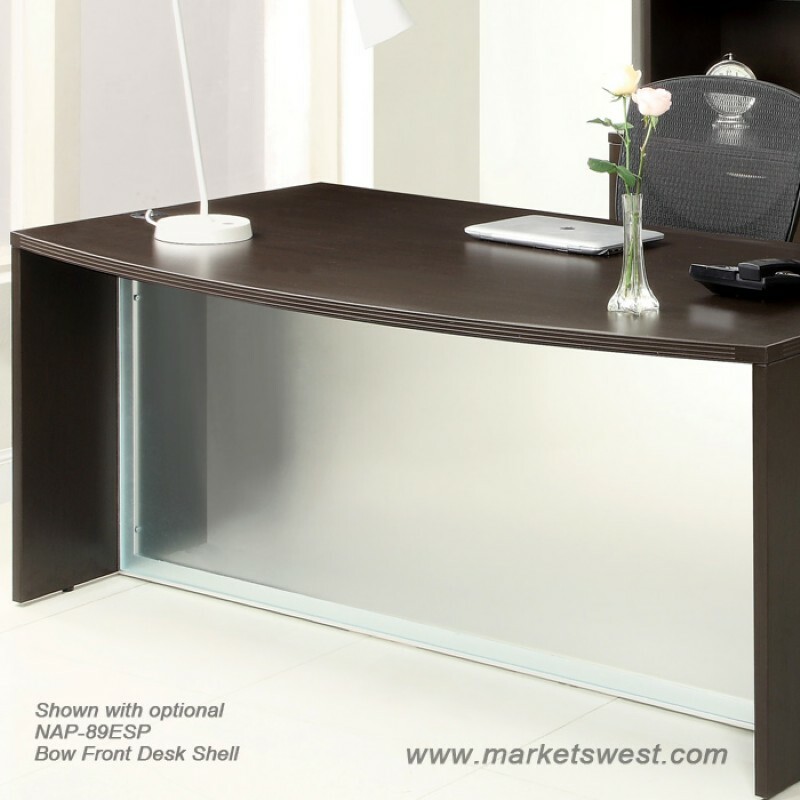 This frosted full with glass modesty panel is for Napa 72" wide desks such as the NAP-89 and NAP-01. It replaces the laminate modesty panel that typically comes with these desk shells. This frosted full with glass modesty panel is for Napa 72" wide desks such as the NAP-89 and NAP-01. It replaces the laminate modesty panel that typically comes with these desk shells. Product Dimensions: 39.84" x 27.95" x 0.79"
Carton Dimensions: 40.94" x 29.13" x 1.77"